Behind every great instrument is a great instrument maker. 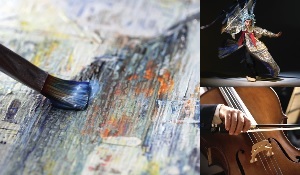 Instruments produced by a knowledgeable maker can be made to suit a particular customer, while factory-made instruments are made to meet specifications. There are many stories about famous guitars, and even pianos, that have been custom-built for musicians who are household names. One instrument that is not as well-known but just as passionately built and played is the Appalachian (or mountain) dulcimer. This instrument is usually about two-and-a-half feet long and has four strings that are strummed or plucked. The mountain dulcimer developed into its present form from its beginnings as the European zither. 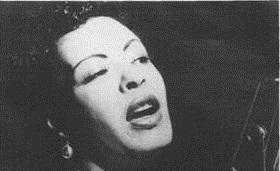 After the 1940s, the dulcimer entered the urban Northeast folk music revival scene, largely due to Kentucky-born musician Jean Ritchie, who performed and recorded extensively. Revivalist musicians like Richard Farina, Howie Mitchell, and Anne Grimes introduced the mountain dulcimer to national and international audiences in the 1960s and 1970s, making it a popular folk instrument. A major reason for the mountain dulcimer’s continued success is the ease with which the inexperienced musician can produce acceptable sounds almost immediately. Construction designs for the mountain dulcimer are now easily available, and dulcimer making has become both a hobby and a cottage industry throughout the US. Making mountain dulcimers harmonizes Curt Lane’s love of music with his fondness for woodworking. Lane runs Big Daddy Lane Creations, a woodcrafting business, from his home in Powell, Tennessee. Each of Lane’s dulcimers – which take 6 to 8 weeks to complete – are made from solid cherry wood, with walnut fretboards and inlaid mother-of-pearl or abalone shell fret markers. Lane says the sound quality depends on the quality of the wood and the size and shape of the soundbox. He makes use of three distinct designs: the traditional hourglass shape, the teardrop or aspen leaf design, and the fiddle shape, his signature style. Lane’s dulcimers cannot be found in music stores. He mails them directly to customers and relies on word-of-mouth advertising. His prices range from $225 to $275, which he says enables more people to buy them. At college, Bob Magowan saw a mountain dulcimer for the first time and thought about making one. In 2000, after a trip to Mountain View, Arkansas, Magowan bought a dulcimer kit and put it together. Three years later, he was customizing them and had established Magowan Mountain Dulcimers. Magowan’s custom touches include various woods, such as Koa from Hawaii, and ebony overlays on the fretboard. Although he learned to both play and repair dulcimers, his skill lies in custom design. The retired engineering technology professor has built about 50 instruments; he averages about 15 annually. Magowan’s dulcimers range from $375 for a basic model to $800 for a customized version. On each signed and numbered instrument, Magowan inserts a Bible verse. He says he gets satisfaction from making something that doesn’t just sit, like furniture. After a vacation brought him his first view of a mountain dulcimer, Gary Gallier decided to attempt building his own. He borrowed a how-to book from the library and created a dulcimer out of quarter-inch plywood. He also learned to play the dulcimer and, by 1987, had perfected a flatpicking style and pushed the design of his dulcimers to give them a richer tone. 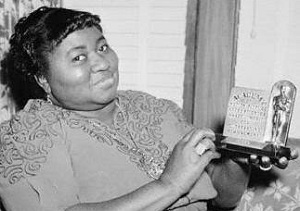 Gallier won the National Mountain Dulcimer Championship at the Walnut Valley Festival in Winfield, Kansas the same year. The body of Gallier’s mountain dulcimers is deeper than that of traditional dulcimers. Rather than running the strings along the full body of the instrument, he crafts a bridge much like that of a guitar, which gives his dulcimers a fuller sound. About 10 years ago, Gallier quit his job and began building dulcimers for a living. He estimates that he has finished around 100 dulcimers. David Marks gave up teaching music to begin crafting and selling mountain dulcimers. His dulcimers are shaped like teardrops and hourglasses and are made from cherry wood and apple wood. Marks’ company, Folkcraft Instruments, also makes hammered dulcimers, folk harps, kalimbas, mandolins, five-string banjos, and psalteries. The Naylors established their Fredericksburg, Texas dulcimer-making business in November 1987. Their three traditional body designs are the hourglass, the teardrop, and the Christian fish-of-life symbol and are made from Texas cedar and Hawaiian koa, along with other woods. 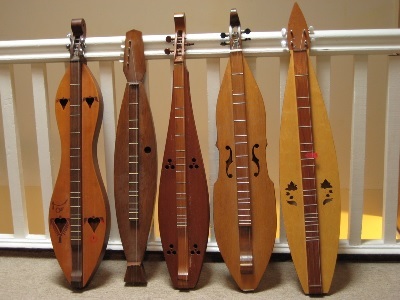 The Naylors also sell a cardboard version of their mountain dulcimer to various school districts, which use it in music class, and make a compact version for backpackers. To accommodate their Texas customers, the Naylors have designed dulcimers with sound hold shapes like longhorns or the state of Texas. Doug Herren, an associate professor at Southeast Kentucky Community and Technical College (SKCTC), is also a master dulcimer maker. Herren’s personal choice of dulcimer wood is cherry, with a cedar top, which he says provides a sweet, mellow sound. Herren plans to begin teaching a dulcimer-building class at SKCTC. Once the students have completed their instruments, he wants to teach them how to play. Use ProQuest Newsstand to find the makers of your favorite instruments or the people behind your favorite hobby.